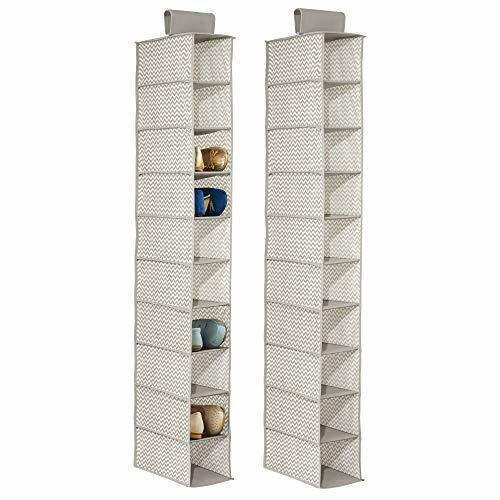 mDesign's fabric storage organizers are functional and stylish. This hanging shoe holder takes your organization vertical and gives you back valuable floor space in bedroom or hallway closets. It features 10 shelves to store shoes, accessories, and more.